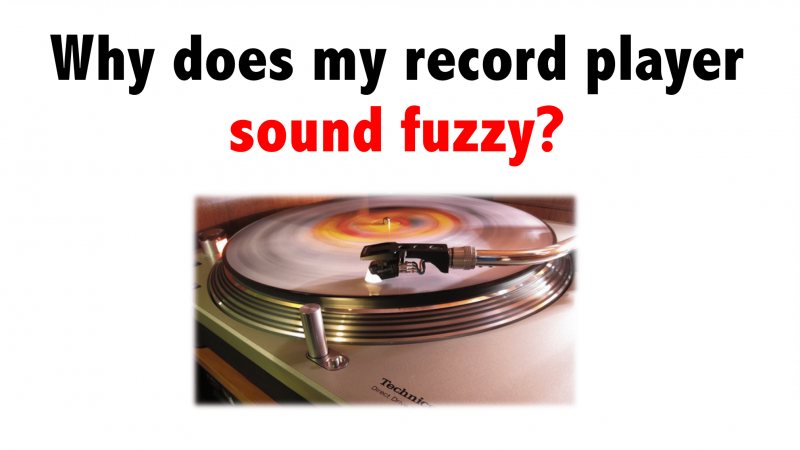 Sometimes a record player will have a sound that is really hard to describe and the best word for it is “fuzzy”. It is when there is just something that is a little bit off with your sound and it drives you nuts. There are many things that can cause this from dust, a record being in poor condition, your stylus being worn down to a point, your setup is not quite right and so on. As a huge vinyl collector, I like to try and keep my vinyl and my record player in the best shape as I possibly can. Still, on occasion, I must admit that I get that “fuzzy” sound which can be super annoying. What makes it worse is that when you notice the sound it is all you can hear It does not matter if you are rocking out with Bruce Dickinson or kicking back with some Boyz II Men! That fuzziness is all you can focus on. While you may think that your record player is on the fritz or that your record has some huge scratches on it and in some cases, you could be right. However, in my experience, there is usually a fix for when your vinyl is not sounding as good as you would like it to and that is what we are looking at today. I am sharing with you a few of the things that I would personally do if my record player was sounding fuzzy. I will also share with you a few links to some of my favorite sites that have helped me out over the years. Are Your Records Dirty & Dusty? Your Record Player Sounds Muffled? Your Record Player Sounds Tinny? Does your Record Player Sounds Wavy? Why Does My Record Player Sound Static? One site that I really like is The Sound Exchange and they have a great article about looking at your stylus. I have lost count of the number of cartridges I have bought over the years, but they do wear down. If the sound is not what it should be, look at your stylus and see if it is worn down. The stylus, needle or whatever it is you like to call it could be the culprit. Many people think that a stylus should be a really fine point, but that is not true. The real sound is coming from the edges of the groove, not the very bottom of it which is where your stylus will be hitting if it is worn down to a point. A good record player stylus should not be worn down a point. If it is, it is getting too deep into the groove on the record and that is why the sound is not good. Not to mention that this can actually damage your records. You can buy a new stylus (for me spending the extra and getting a diamond tipped one is the way to go) however, I would maybe suggest looking into buying a whole new cartridge. Look at your stylus and if it is down to a point you need a new one. I found this YouTube Video which shows how much of a difference a new stylus makes. The sound quality really is like night and day with how much better it sounds. You may want to buy a new stylus or you very well may want to fully upgrade your cartridge, it is up to you. If you buy an old record player, I would always advise checking the stylus before you use it. This is the term I have heard over and over again and another thing I want to suggest is to look at your records. One thing that it could be is the way you have it all hooked up. Look I know that questioning another vinyl lovers setup may sound like blasphemy to some of you guys and I certainly mean no disrespect. However, as you can see from this post on Reddit many other people feel that this could be the issue. If you have your turntable going into a receiver that has other things like a CD player, TV and so on and they are not fuzzy and you are sure it is not the stylus. Check the inputs for your turntable and that they are in properly or maybe even try some new ones to see if it is the cables that are causing you problems. By levels, I mean your sound levels. I am an 80s rocker at heart so I love to listen to stuff like Bon Jovi, Guns n Roses, Metallica and so on. I love to listen to it loud too (well as long as the wife is not home) however I know that the louder I have my music the chances of losing clarity rises. All of our setups will be different so there is no way that I can tell you exactly what levels you want your treble, bass and overall volume at. However, I would suggest that you do play around just a little bit in order to get the sound just the way you want. This is something I am pretty obsessive about and I do enjoy playing around to get the sounds just right. Heck, you could be crazy like me and actually have different albums where you will change the settings to fit that album….. actually that is a rabbit hole you do not want to go down! Sometimes you could be having that fuzzy or off sound because your record is not clean, or perhaps your stylus is not clean. Being a vinyl collector, especially if you are someone like me who loves to go out and hunt down old vinyl, requires that you do some maintenance on your collection. The state of some of the records I have bought over the years is gross! Some folks have not used their records in decades and when they decide to sell them they are also giving you decades of dust and grime build up too! You can get some great vinyl record cleaning kit like this one here. This gives you all you need to clean your records and do it properly. You can also get some that come with extra stuff that will allow you to clean the stylus. If you have listened to a really dusty and dirty record, chances are some of that has gotten onto the stylus so make sure you give that a good cleaning off. I am not saying that you should go through all your records and clean them at once, but if you pull one out that you have not listened to in a while, be sure to give it a looking over before you put it on your record player. 5. Are Your Records Dirty & Dusty? If the stylus is still in pretty good shape, you need to check your records themselves. Especially if it is the same record or the same few records that you feel do not sound right. If they are a bit on the dirty side, you can purchase a record cleaning brush which will help get any dirt that is in the grooves of your record out so that they can sound as good as they possibly can. So you have gone to the store and just bought a brand new, still factory sealed record and rush home to check it out. I think it is awesome that they are bringing new music out on vinyl and re-releasing some classic albums too. Just recently I picked up Nevermind by Nirvana which was re-released and it sounds a million times better than the beat-up version I have had since I was in high school. Anyway if you have checked your record player and it seems ok, but the sound is still kind of distorted, one thing that it could be is perhaps the location of your record player. I bought my parents a new record player and all they did was complain that the sound was off. Turns out they had the thing sitting on top of their subwoofer! This was what was causing even new vinyl to sound distorted! So check the place you have your record player as that could be causing you problems. Muffled sound is something that I have heard many people who get into vinyl complain about. Even those who have just purchased a brand new record player. The thing is if the cartridge is not aligned just right then you are not getting the best sound. Ugh!!!! Is what I can hear you say, but do not worry as this is not as hard to fix as you would think. Aligning your cartridge is quite easy to do and it may not cost you a penny! You can certainly purchase a cartridge aligning tool online if you want. However, you can print one off for free and use that. There is a site called Vinyl Engine which has cartridge aligning tools for record players of all sizes. They even teach you how to use them. You will be amazed at how clearer the sound can be when you have it aligned just right. While there are some very low-cost record players out there these days and these can be great for getting back into or even getting into vinyl in the first place. The ones that tend to have built-in speakers can be a little on the tiny side, especially when you have the sounds rocking really loud. Is there anything you can do? Well yes, yes there is! You can, first of all, make sure your cartridge is just right as we looked at above. However, you might want to also invest in a new set of speakers, receiver and of course make sure it is all hooked up just right. 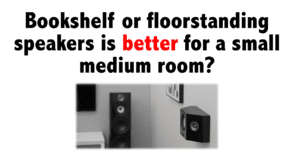 I found an interesting forum post on a site called The Audiokarma Home Audio Stereo Discussion Forums that goes into this in more detail so you might want to take a look at it. 9. Does your Record Player Sounds Wavy? My record player sounds wavy is another way I have heard a fuzzy and off sounding record player be put. If you look on a site like Vinyl Engine (which is a great site by the way) you can see that there are many things that can be causing this, some of which are pretty serious. Before you start freaking out though just check and see that it is all aligned properly. You can print out record aligning tool for free online and you can use this to make sure that the arm is not bobbing around like it is rocking out to the music as if it were in mosh pit. Sometimes tightening it up or even just moving it a little bit can make the world of difference to the sound that you are getting. Again check that link if you do think it is more serious, but most of the time if the sound is fuzzy and wavy it is due to something not being tight or lined up just right in my experience. Of course, all of the things we have looked at today are pretty easy fixes and I would say most of the time it tends to be a small adjustment that needs to be made or something needs to be cleaned. If it is a more serious problem like something with the belt or an electric issue. I would advise letting someone else take a look at it if you do not know what you are doing. I have been collecting vinyl for years and I still would never try and do something with the electrics of any of my record players! 10. Why Does My Record Player Sound Static? Some records have a real static sound to them and some play this off as one of the “magic of vinyl” that is not how they should sound though. Vinyl records are like magnets to static electricity and every vinyl enthusiast has heard one of these static pops from time to time. The easiest way to prevent this if you ask me is by getting special anti-static record sleeves. The ones that I like are these Taguchi Round LP Inner Sleeves and they are great at keeping the static electricity at bay. They come in a massive pack and the asking price is cheap. If you want more tips on how to prevent static build up happening and spoiling your vinyl experience. One site that I like is called, Vinyl Me, Please and they get pretty in depth with some solutions on how to not just protect your vinyl records, but your player as well. So as you can see there is no need to go out and buy a new record player if your record player sounds fuzzy. Although it does make a great excuse to! Listening to vinyl records requires you to get the best out of it. If you want some extra information there are some great videos on YouTube about it such as this one here so be sure to give it a watch. If you ask me working on getting the best sound out of your vinyl is a huge part of the fun.